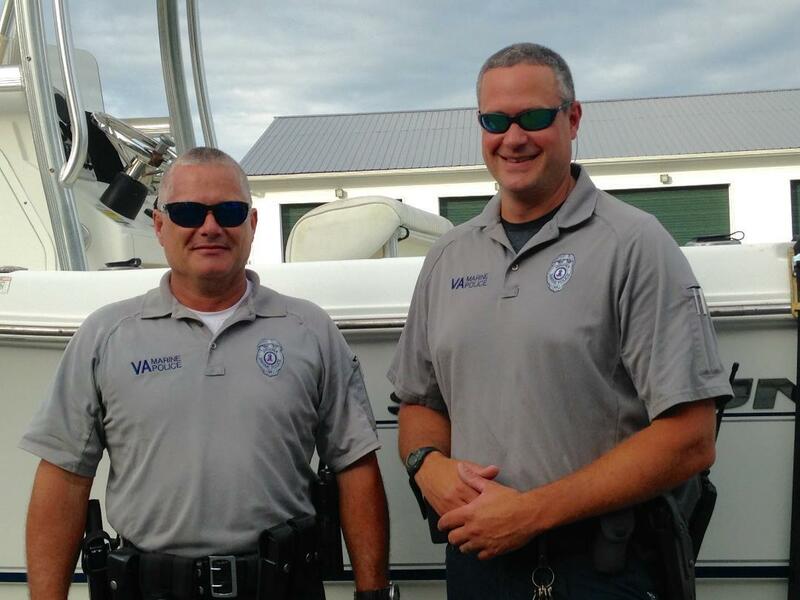 David Drummond and Marshall Reedy are members of Virginia's marine police force, once known as the Oyster Navy. On a chilly afternoon, Officers David Drummond and Marshall Reedy are on board their patrol boat -- keeping an eye on those who are fishing or collecting shellfish from Virginia’s Atlantic Coast and the Chesapeake Bay. “How you doing?” Drummond calls out to a man who barely speaks English. He needs a license and a permit to harvest oysters, but he tells the officers it’s in his car. Drummond lets him off with a warning. “Make sure it’s on the boat with you when you’re out here, okay?” says the officer. “Alright,” the man replies. “Take care,” Drummond calls as he motors away. 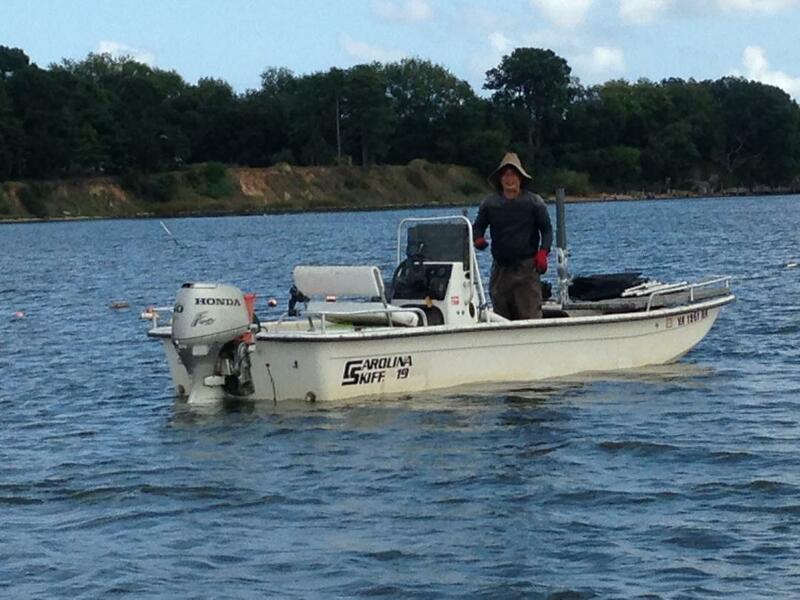 Marine police also enforce federal, regional, state and local rules and catch limits. Those in search of striped bass, for example, can take just two a day, and fish under 20 inches must be thrown back to avoid tickets and significant fines. Fishermen in Virginia need various permits and licenses and are governed by local, state, regional and national rules. Likewise there are limits on how many shellfish you can harvest, and each bivalve must be tagged with a small plastic tie. “Prior to leaving the place of harvest they have to affix a tag that gives the location of the harvest, the number of bushels harvested – whether it be clams and oysters -- the date, the time, and that’s just to track the shellfish later down the road if someone were to get sick or we had problems,” he says. In warmer weather, Drummond adds, shellfish must be shaded and put in a certified refrigerator by a certain time each day. When they’re not busy with food safety, licenses and permits, there are other jobs for Virginia’s 78 marine officers. They conduct search and rescue operations, enforce boating safety laws, investigate accidents or criminal activity, and provide security for the military, shipyards and nuclear power plants. To assure the safety of oysters, marine police enforce strict rules requiring refrigeration and careful record-keeping. “The species we’re targeting, that’s what they survive on, and if there’s less for them to eat here, they’re not going to stay here,” Avery argues. His group, which lobbies for anglers, asked lawmakers to reduce the catch, but politicians who’ve taken $450,000 from Omega over the last decade refuse. Regulation is also complicated by a changing climate that leads fish to move north in search of cooler waters. That makes it more difficult for scientists to assess populations and set limits on fishermen. In our next report, what consumers can do to assure sustainable fisheries.